Everything needed to install an underfolder stock onto an AKM receiver. 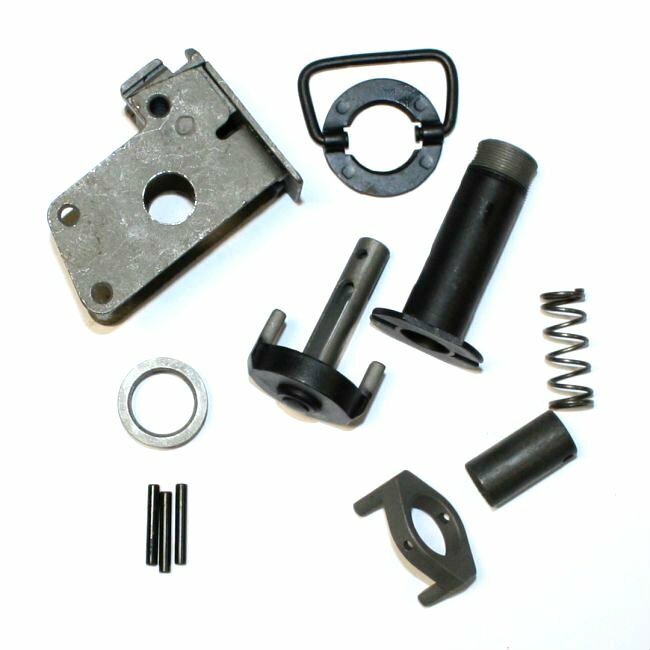 Includes all new-unissued parts: trunnion, push button assembly and everything else pictured. These are Polish Radom parts that were never issued or installed onto a weapon. Trunnion is virgin which is the only way to get a perfect fit on your build.